*Please scroll down for English. 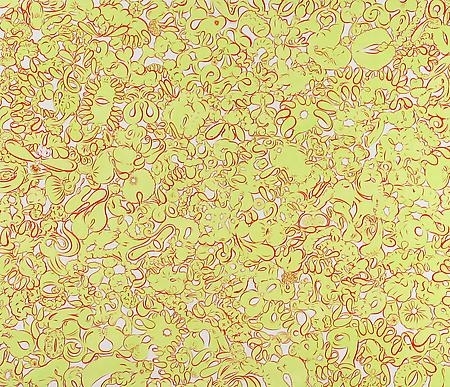 James Cohan Gallery Shanghai is pleased to announce an exhibition by the New York-based painter Sue Williams. The exhibition opens Friday, September 12 and continues to October 26, 2014. 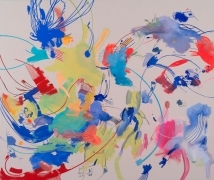 A special reception for the artist will be held on Friday, September 12th from 6:00 to 8:00 pm. 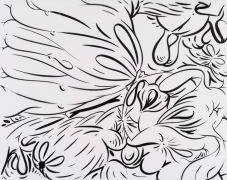 This is Sue Williams’ debut exhibition in China. 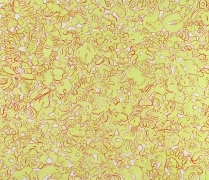 Sue Williams (b. 1954) has long been known for her works which combine themes of gender politics and the body. 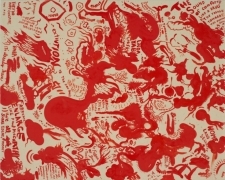 Her early works of highly provocative narrative paintings brought her to the attention of a larger audience beginning in the mid-1980s and early 1990s. Williams was thought of as a feminist artist, but one who would soon challenge her peers and other artists by exploring more controversial themes such as domestic violence, sexual abuse and assault, and her indignation towards the acceptances of sexism in society. In many of these earlier works, Williams’ paintings depicted outrageous details of body parts, orifices, and human organs. 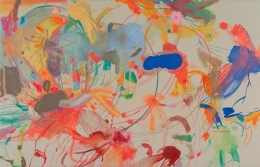 Her paintings became quickly recognized as part of a new narrative expressionism and frequently included text or phrases as illustrated captions. 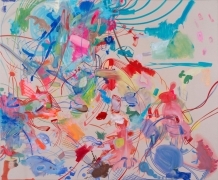 The immediately recognizable violent imagery in her paintings grew increasingly abstract and fragmentary by 1993 and, at times, scathingly humorous and outwardly absurd as Williams reflected on the challenges of abstract painting and the history of abstract art. In 1993, she was awarded a Guggenheim Fellowship in recognition for her groundbreaking works. By the end of the decade there would be other stylistic shifts as her paintings became more refined by limiting her color choices and where brushstrokes and spatial surfaces were the focal point and central concerns, evident in paintings like Darklight (1996) and Bindweed and Red (2005). 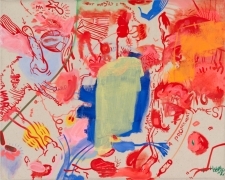 The exhibition features some of Williams’ earlier anthropomorphic paintings from the late 1990s leading to current works painted during the last seven or eight years, moving from the untidy, abject visual play on the body and bodily functions, to paintings which address traumatic geopolitical and environmental events and aftermath since the September 11th, 2001 attacks on the World Trade Center, the subsequent “War on Terror” and continued conflicts in Iraq and Afghanistan, notably in recent works such as Extinction (2012), The Plesiosaurus Couple, and The National Conversation, Stored in Utah (2014). 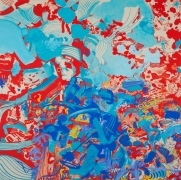 Sue Williams has exhibited internationally for over 15 years and was included in the 1993, 1995, and 1997 Biennials at the Whitney Museum of American Art, as well as shown at the Museum of Modern Art and the New Museum in New York. 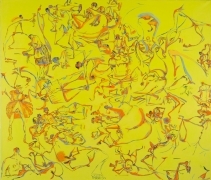 She recently has had solo exhibitions at the Palm Beach ICA, Florida; the Secession in Vienna, Austria; the Instituto Valenciano de Arte Moderno, Spain; and the Addison Gallery of American Art in Andover, Massachusetts. 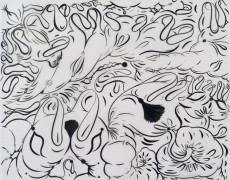 Sue Williams’ works are in numerous public and museum collections, such as the Hirshhorn Museum and Sculpture Garden in Washington, D.C.; the Museum of Modern Art, New York; the Whitney Museum of American Art, NY; and the Centre d’Art Contemporain in Geneva, Switzerland. For further information please contact Jill Feldman at jfeldman@jamescohan.com. 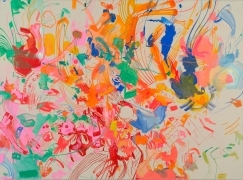 Gallery hours: Tuesday through Saturday 10:00 to 6:00 p.m.; Sundays 12:00 to 6:00 p.m., and Mondays by appointment.